They're getting feathers and everything! Ha ha. They are so cute; growing and happy. Starting to look like real chickens. And act like them, too. They like to fly occasionally when I'm changing them. We've given them a bar for roosting but so far they're not impressed. They have quite the curiosities, checking out everything we do. Chelsea is still trying to lick them through the cage. The weather is supposed to be warm and in the 80's for my weekend. I'm hoping to be able to get Ginger, Tootsie and Jelly Bean outside (inside a wire fence and with strict supervision) for their first taste of the world outside our spare bedroom. Kim is working on the chicken coop which they'll need in about three weeks. He's not a carpenter so he sweats each step but whatever he builds always turns out great. I certainly am happy with his finished projects. I'll post some pics when it is completed. What a difference, they're still so cute. Is littlest one in the first picture the biggest in the second picture? I bet the chicken coop will turn out great. I miss having chickens. They have their own little personalities. They look to be growing well! I see my favorite lil' Jelly Bean is still cute as ever! can't wait to see them as full blown chickens! Long time ago I saw a chicks live... they are so beautiful and have a lot of personality. Yours are growing and looking so much like a chicken! Nice job! They grow so quickly. 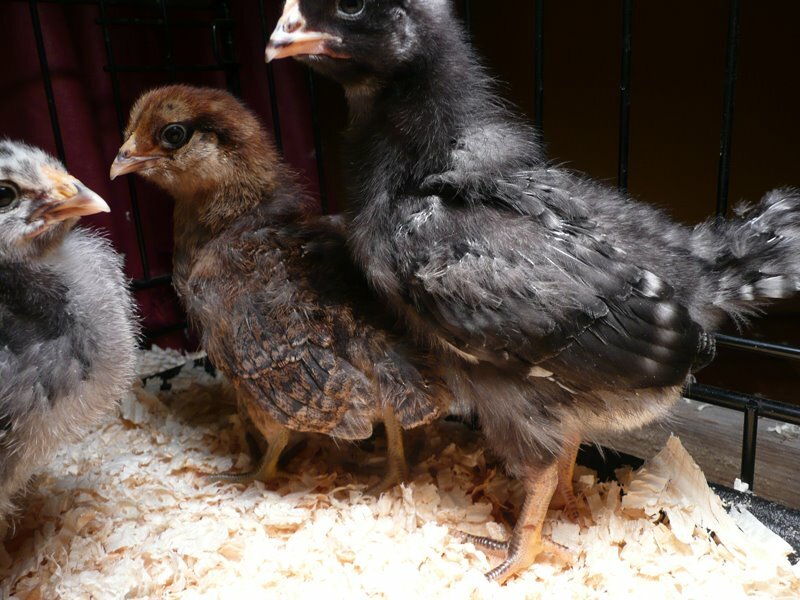 Your babies look so cute with their new found feathers on top of the fuzz. awww. How fun to watch them grow up, huh? awww. I didn't think they could get any cuter but I think they have! You really selected some nice chicks. I can't wait to see the coop. Too cute! 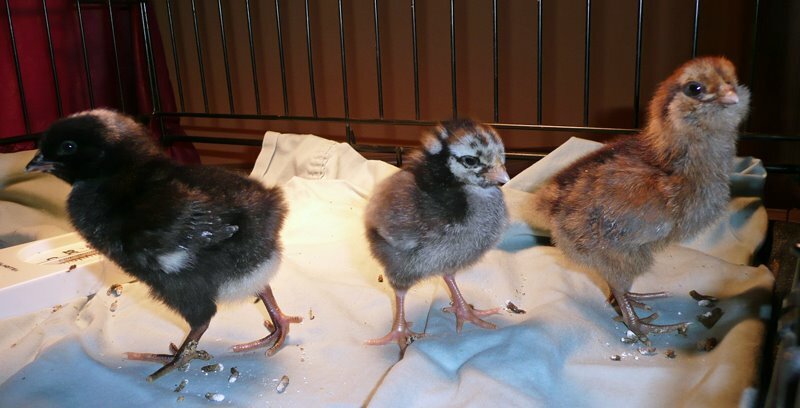 I think those little barred rocks are the cutest little guys. In our chicken house, they are also the only ones that will come up to us. They look like they are happy and healthy!